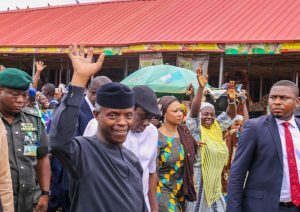 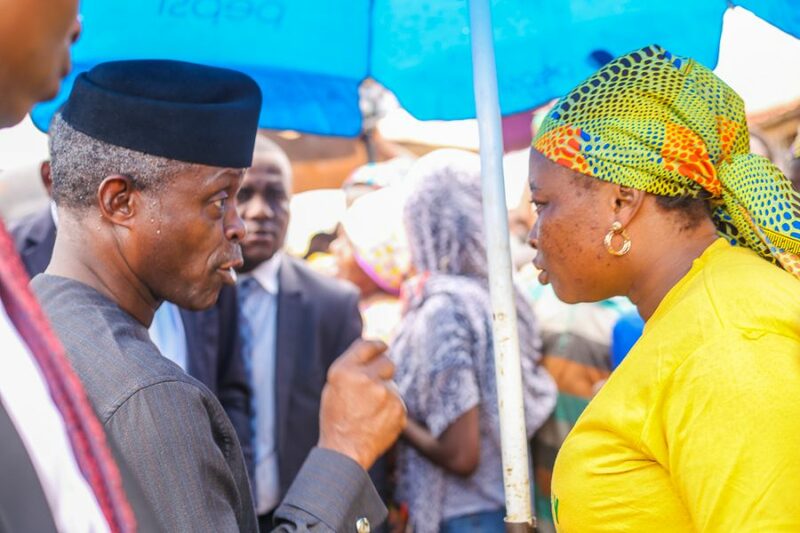 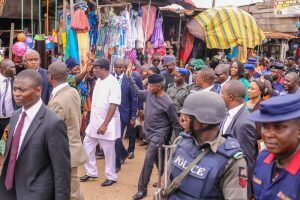 Vice President Yemi Osinbajo received a lengthy ovation from traders and spectators when he walked into the Bola Ige Gbagi Market in Oyo state. 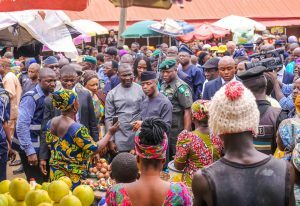 The Vice president was there to launch the Trader Moni Program; a Federal Government Enterprise & Empowerment Program (GEEP) for petty traders. 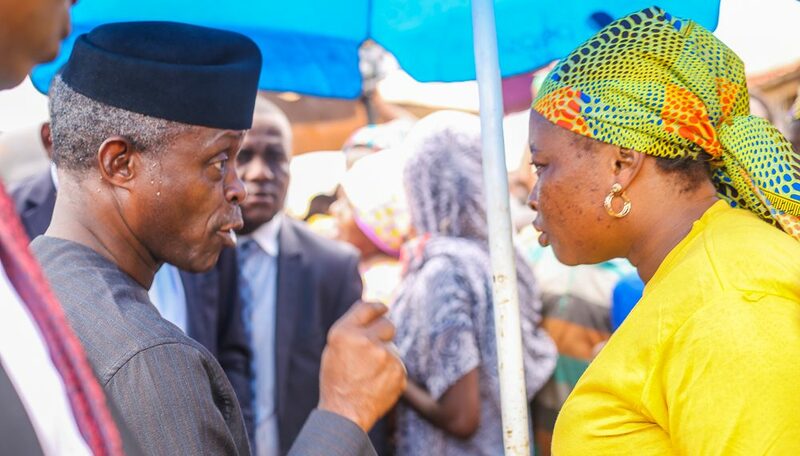 He is accompanied by the Deputy Governor Oyo State, Mr. Moses Alake Adeyemo. 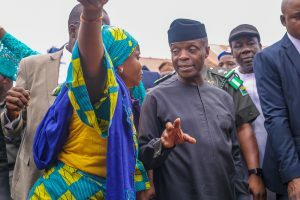 Photos: NOVO ISIORO. 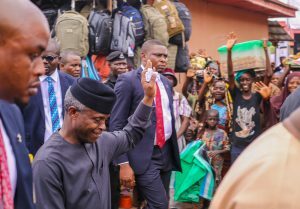 13th, September, 2018.